The Number Snake is made up of thirteen “families” or sections with magnetic connectors that complete the range of 0 to 129. This range is in alignment with the Common Core State Standards. Each section is an alternating color and includes ten numbers. The Number Snake head and tail, two jumbo paperclips for number isolation and directions are also included. 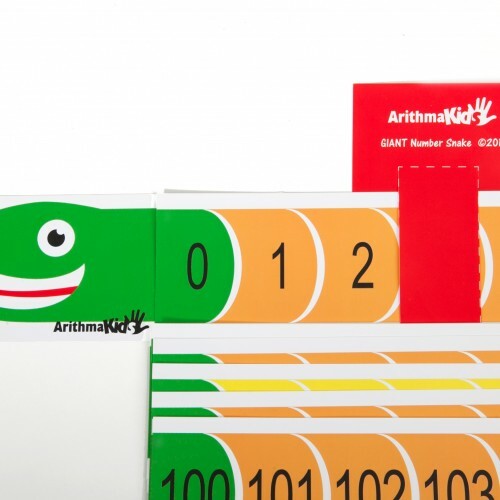 The ArithmaKids Number Snake was created for students to see numbers in a linear arrangement, not on a grid. This allows them to understand order, magnitude and place, similar to a measuring tape. Students are focused and engaged when asked to put the snake parts in order. 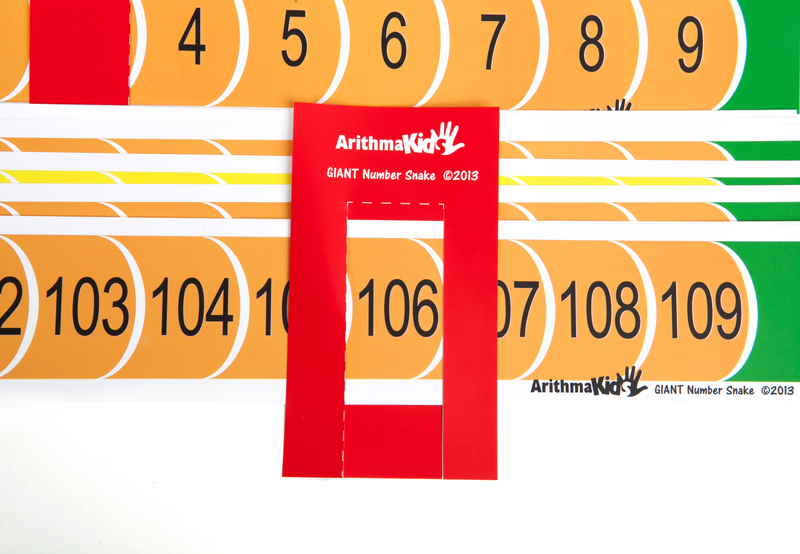 ArithmaKids Number Snake is a build-it-yourself number line. The families are broken up and isolated by corresponding colors. The teacher can use the snake for whole group, small group or one-on-one instruction. 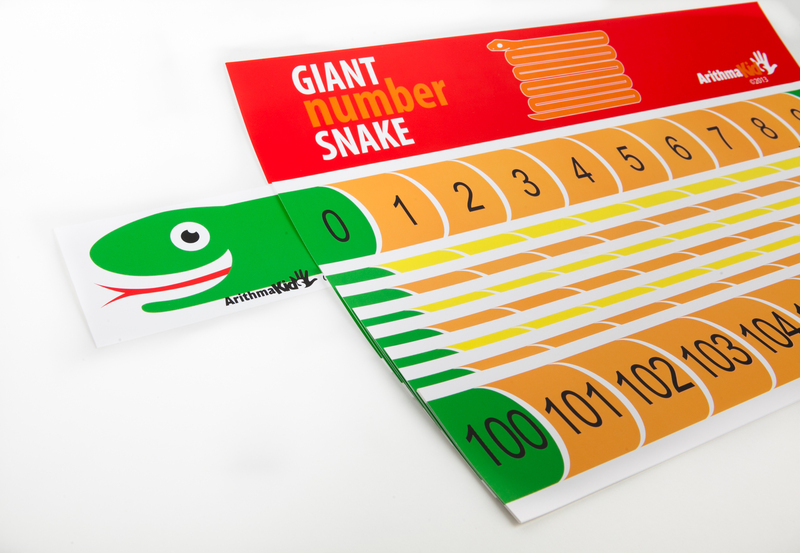 Students will enjoy putting the magnetic snake in order and counting forwards and backwards from different parts of the snake. The teacher can isolate numbers for number identification with the giant paper clips that are included. 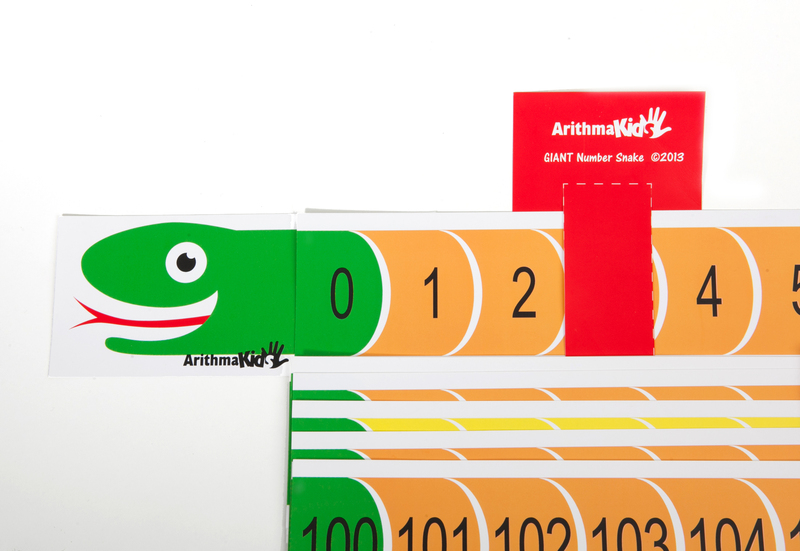 Be the first to review “ArithmaKids Giant Number Snake” Click here to cancel reply.